Or maybe you are skeptical because of all the rumors out there. 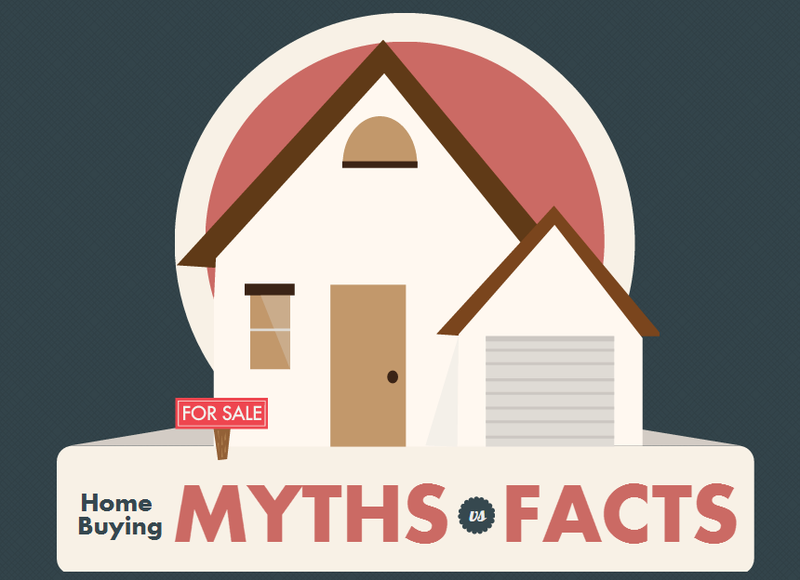 Check out these 8 common misconceptions about buying a home so you can get the facts! 1. Homes are too expensive to buy. False. Believe it or not, the average home price is around $150,000. It definitely is a buyers market still being that the time is now to buy your first home. The average monthly mortgage payment is under $1000. Your monthly payment will most likely be less than what you are paying now to rent! 2. You have to have perfect credit to buy a home. False. Many people do not even consider buying a home because they think their credit score is too poor to be considered for a loan. If your credit is under 650, consider checking out FHA home loans. Not only can you qualify but they require a significantly lower interest rate! Payment. As long as you are doing your calculations right beforehand and figuring out what you can afford, you will only look at houses in your price range where you can afford that down payment. 4. Opting in to the 30 year mortgage plan is the best option. False. It is always tempting to choose the option where you have to pay the least amount of money NOW. But in the long run, you a borrowing the same amount of money, for double the time of a 15 year mortgage therefore doubling the amount of interest. Before you buy a house, ensure that you consider which mortgage plan is best for you. 5. You do not need the help of an agent. False. That it was real estate agents are for. They are professionals when it comes to home buying and will be a wealth of information especially when buying your first home. False. Again, while paying for the home inspection right now seems daunting, it will save you a lot of headaches and money in the future. If you forgo the home inspection process, you are risking that the home you are buying has no unseen issues. False. Real estate is one of the best investments for your money. Instead of paying rent every month and throwing that money out the window, you are essentially paying yourself. The more payments you make, the more equity you have in your home. False. Make sure you budget for all of the extra costs that come into play when buying a home. Whether it be the taxes, home inspection, or renovations you need to keep in mind that there is more than just a down payment.